It’s fall in Chicago, which means that for six weeks, we’ll be alternating between sweltering 90-degree days and perfect, brisk sweater weather before a giant sheet of ice blankets our fair city for five months. Why not get into the spirit and enjoy the few precious moments of fall that we have left with a wholesome trip to a pumpkin patch? Here are 15 of our favorites from all around the Chicagoland area. 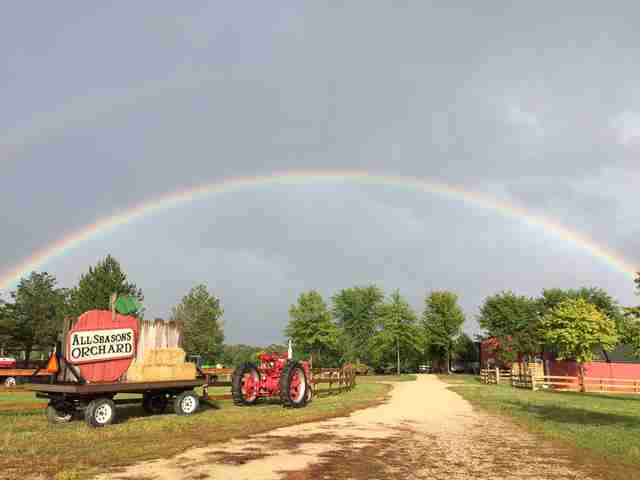 There's so much to do at Bengtson's, and the farm is well known for it. 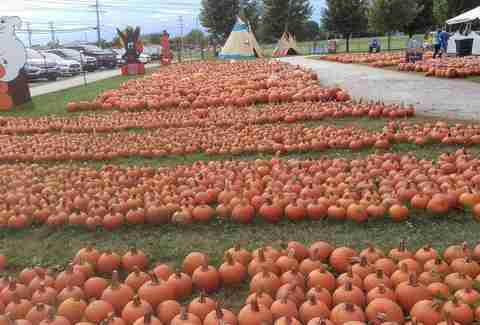 Of course, they have their share of pumpkins available for purchase (over 300 tons worth, apparently), but that’s not the reason you make the trek to Homer Glen. 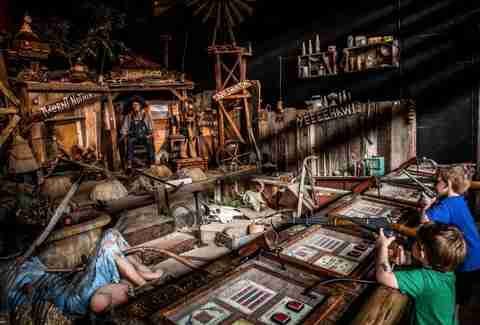 Admission to Bengtson's includes access to a wide variety of attractions including 90-foot-tall slides, haunted barns, petting zoos, and much more. They also even have pony rides available for an additional $5 if you're bringing any young ones. Be prepared to make a day of your Bengtson's trip -- there’s certainly enough there to keep you entertained. Patch 22 may be smaller than some of the other entries on this list, but it makes up for a lack of insane attractions with the fact that it’s not just a fall pop-up business; Patch 22 is a real, working, active family farm. They even have horses and ponies for sale, in case you’re looking to line up a particularly extravagant Christmas gift for somebody. Though Didier Farms and their impressive farmstand featuring local produce from across the Midwest are open year-round, their Pumpkinfest deserves special mention. Of course, there are plenty of pumpkins for you to take home, but they also feature camel rides, hay rides, and, uh, pig races as well. Plus, if you’re anything like me, you’re itching to check out their “Silly String Asylum,” where they pretty much just give you a bunch of cans of silly string and tell you to blast other folks with it. 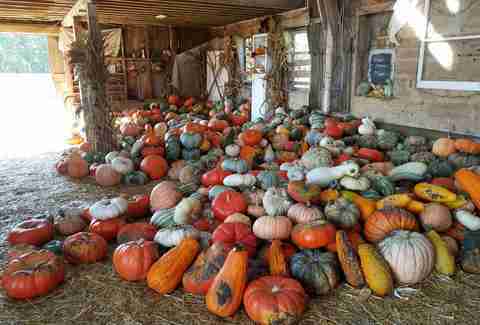 Sonny Acres has some longevity in the pumpkin farming game -- they’ve been around since 1883. Another family-owned and -operated farm, their name comes from the fact that the first owners of the farm had seven sons. From September 22 on through Halloween, they’re hosting a fall festival featuring food trucks, giant slides, haunted hayrides, and (of course) acres and acres of ginormous pumpkins. 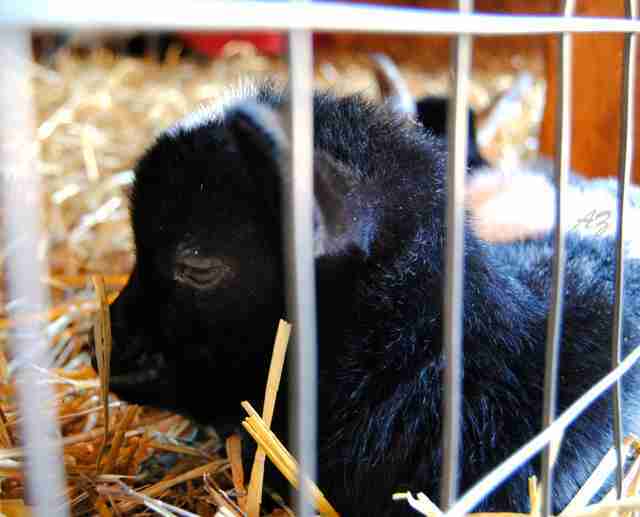 Puckerville Farms is a mainstay in seasonal farm tourism, and for good reason. They focus primarily on pumpkin farming, with 150 acres dedicated to those wonderful gourds, but they also make their own honey as well. Even better, admission is completely free. Bad news: The Great Highwood Pumpkin Festival is only open for one weekend from October 5 through October 7. 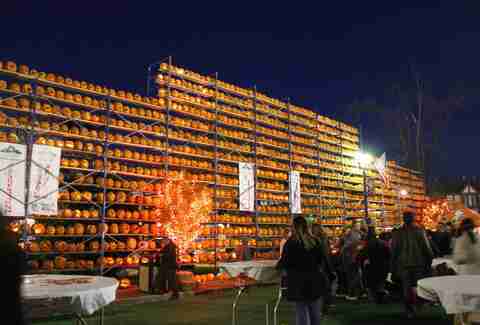 Good news: If you show up there, you’ll be part of an effort to set the world record for the most pumpkins carved at once. There will be pumpkins available, as well as live music, rides, and pie-eating contests, so why not be a part of history? A year-round farm and farmstead, Goebbert’s Garden Center boasts over 200 acres of pumpkins and other produce, so if you’re looking to stock up on local produce while finding the perfect pumpkin, look no further. Oh, and did we mention they have a wide variety of attractions available too, including a giant corn maze and a huge mechanical dinosaur whose hunger for pumpkins can never be sated? No, we’re not making this up. The 3.4-mile corn maze at Konow’s is the main attraction, but they don’t skimp on other fall festivities, either. They have an ongoing fall festival, a corn pit (exactly what you think it is -- a ball pit, filled with dried corn kernels), a putting green, and a barn chock-full of pumpkins to purchase. Just don’t get lost while you're there. For those of you who aren’t really looking to ride a huge slide or a camel or anything, The Butterprint Farm is an environmentally conscious alternative to some of the other, larger patches on this list. The farm itself has won multiple awards for its protection of nearby native prairie lands, and there’s a small museum on-site where you can learn about the farm’s conservation efforts. You can also enjoy hayrides, shows, rubber duck races, and a petting zoo there as well. Though it’s not as big of a name as some of the other entries on this list, Sugar Grove has plenty to offer along with its free admission. They have insanely low prices on all of the produce that they grow on-site, and though they don’t offer u-pick, their selection of pumpkins is gigantic. Plus, they have a corn maze as well. We know what you’re thinking: What’s an “adventure farm”? 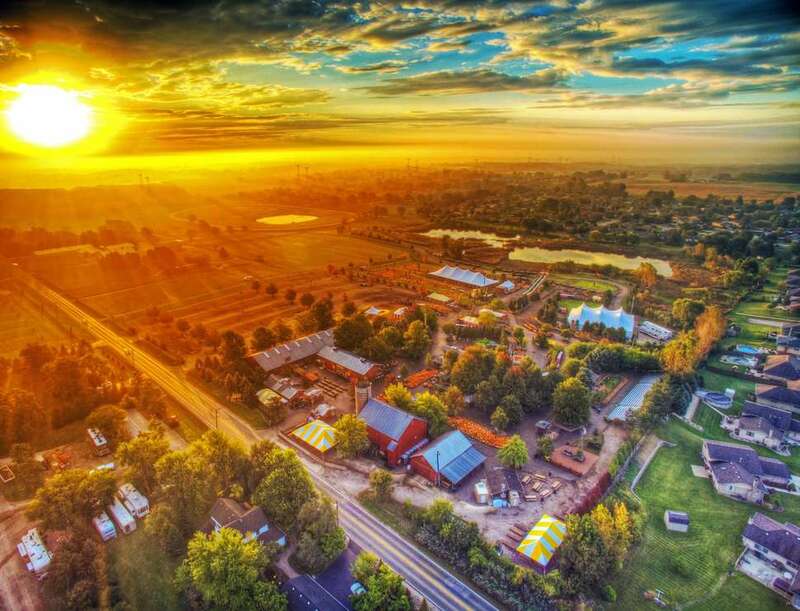 Apparently, it’s a spot that features a 28-acre corn maze, gigantic corn pits, zip lines, a 50-foot observation tower, pig races, a gigantic trampoline, a paintball shooting gallery, and more. Oh, and of course, they have a gigantic pumpkin patch featuring over a dozen different varieties of orange beauties. Here’s one for those of you that don’t have a car. Did you know that Lincoln Park Zoo has a fall festival that’s been going on for three years now? This year’s festivities include a corn maze, live music, and a ferris wheel -- and of course, a pumpkin patch complete with professional pumpkin carvers to show you how it’s done. For the adults, they’re also hosting a late-night fall festival event where you can explore the zoo at your own leisure without the crowds or kids while sipping on a cocktail or beer. If you’re OK crossing state lines, Jerry Smith Produce and Pumpkin Farm offers a ton of attractions at a very reasonable price. 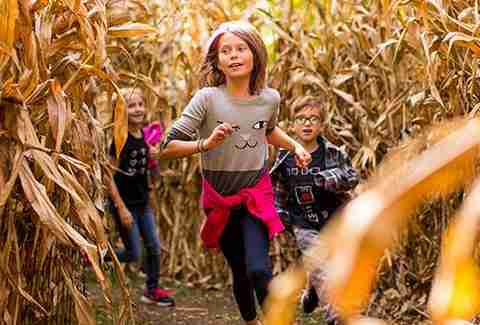 $10 will get you access to their gigantic pumpkin patch, as well as unlimited access to their other attractions including a maze, petting zoo, giant bounce pillow, and hay rides. For an additional $5, you can hop on a haunted hay ride as well! Why not get two classic fall activities in at once, so long as you’re driving outside the city? All Seasons Orchard features a gigantic pumpkin patch with both pre-picked and u-pick varieties available, but stick around and check out the orchard, with over 15,000 trees ripe for the picking! At first blush, there’s not all that much that may make you pick Kregel’s Pumpkin Patch over any of the other entries on this list, until you learn about their slingshot challenge. Kregel’s features a corn maze, a giant slide, and u-pick and pre-picked pumpkins available at both a farmers market and a patch once it opens on September 29. But for fans of the Discovery Channel, the slingshot challenge allows you to load up a small pumpkin in a gigantic rubber slingshot to attempt to hit a target hundreds of feet away. If that’s not worth the trip to you, you may be a robot. Sam Greszes is a Chicago-based writer.